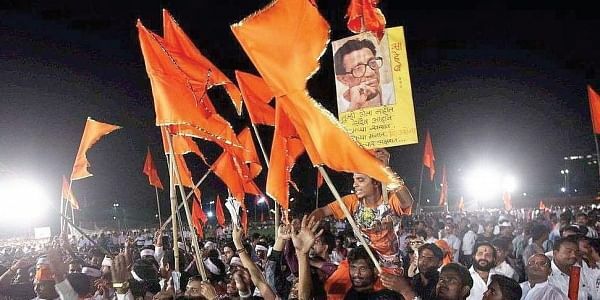 The Shiv Sena on Thursday questioned the terror attacks taking place in Jammu and Kashmir and blamed Prime Minister Narendra Modi for using mere verbal warnings against Pakistan. MUMBAI: The Shiv Sena on Thursday questioned the terror attacks taking place in Jammu and Kashmir and blamed Prime Minister Narendra Modi for using mere verbal warnings against Pakistan. The party in its mouthpiece, ‘Saamna’, said, "Since last year, it is being maintained that the situation in Jammu and Kashmir is under control. But on Wednesday, the Pakistan Army violated ceasefire along the Line of Control (LoC) in Poonch sector. The Jammu and Kashmir Police in the last two days admitted that almost 150 terrorists have been executed by the Indian Army, making it clear that terror attacks in the state have diminished. Moreover, Prime Minister Modi and American officials have been posing threats to Pakistan for being lenient towards terror outfits. But this had no effects on the terrorists and still attacks are taking place in the valley." The article further stated that although the Centre and the state government were showing that the situation was under control, but the Indo-Pak border is still conflicted. “These attacks represent that Pakistan is not backing out. The public wants to know after all these big speeches made by the Centre and the state government, still terrorism is not being curbed,” the article added. Earlier on Wednesday, the Pakistan Army once again violated ceasefire along the Line of Control (LoC) in Jammu and Kashmir's Poonch sector. The incidents of ceasefire violation, which were 228 last year, have already crossed 500 since January.